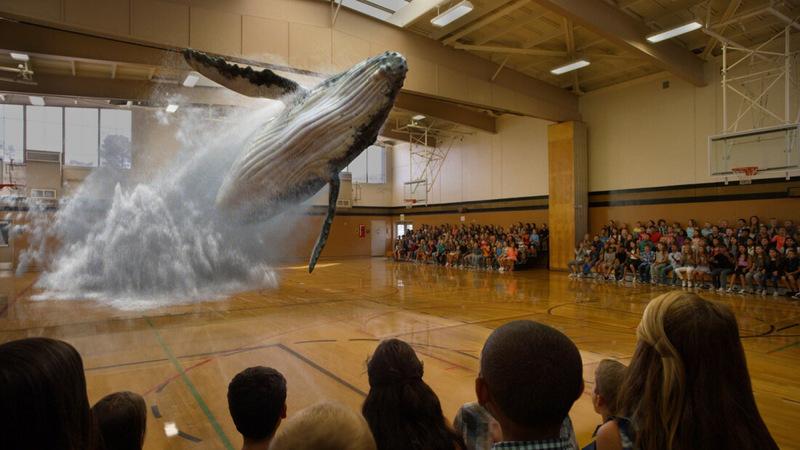 There has been a lot of hype surrounding secretive augmented reality startup Magic Leap over the last couple of years. The company, which was last valued at $4.5 billion, has raised $1.4 billion in funding on the back of amazing demos and claims about its technology. But it seems the firm may not have been totally honest about certain elements of its AR system. Last year, Magic Leap unveiled the “Just another day in the office” video, which shows the headset wearer playing a game where they fight AR aliens. The top corner of the video displays the logo of visual effects studio Weta Workshop. It was assumed that the company provided the game’s visual assets, but according to The Information, there was no such game - Weta created the entire video. While there’s nothing in the clip that states it was recorded on Magic Leap technology, its YouTube description does suggest this is the case. “This is a game we’re playing around the office right now,” it reads. The video was also used to recruit employees. Another issue relates to Magic Leap’s patented fiber scanning display, which appeared in the company's prototype product – a rectangular, shoulder-width box called “The Beast.” Many investors backed the firm with the expectation that the technology would appear in a smaller, more consumer-friendly product, but the company hasn’t been able to make it work and has shelved the project for now. “You ultimately in engineering have to make tradeoffs,” CEO Rony Abovitz told The Information. Magic Leap is now using a different technology in its AR product, which is described as being a PC-connected headset similar to Microsoft’s HoloLens but with blurrier and more jittery images. Abovitz did show off a prototype “PEQ” device that was the size of a standard pair of glasses, but declined to demonstrate it to The Information. He said it was only less capable than the tethered prototypes, but didn’t share any technical details.